You can pay using Visa, MasterCard or Amex using our credit card payment option. Credit card payments made on our site appear as payments to Top of the Class on your credit card statement. 2. Sign in to your account or enter your name, address, etc. Select the delivery option that you prefer. Paypal payments made on our site appear as payments to Audeamus KK (our parent company) on your credit card statement. If you pay with Paypal, please make sure that when you enter your address on our web site, you complete the "prefecture" field. If you do not, Paypal will reject the order. 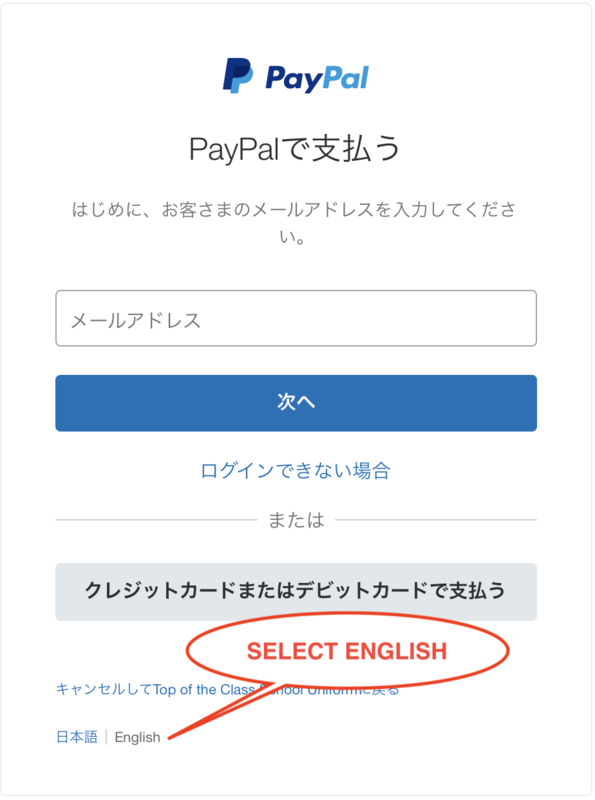 Click the link at the bottom of the Paypal screen to change the language.